I honestly don't pay much attention to my skincare practices, I just know my skin is very dry and sensitive, especially face. However, if there's one thing I do know about my face, it's that it loves vitamin C and can't get enough! I normally use The Vitamin C Daily Moisturizer SPF 30 by The Body Shop, and even though it gives my skin a boost, it does make it feel excruciatingly hot after application, then gradually simmers down. 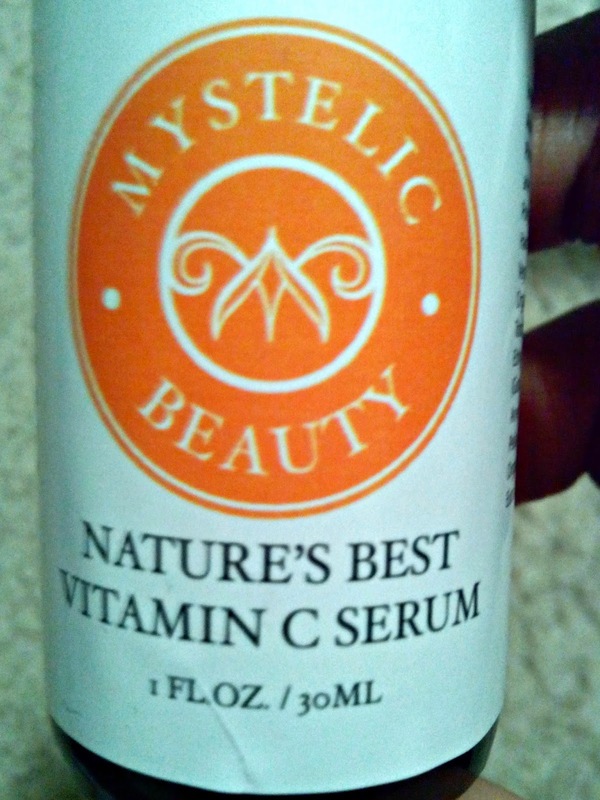 So I was more than happy to agree to try out another brand of vitamin c for facial care, which is The Nature's Best Vitamin C Serum by Mystelic. 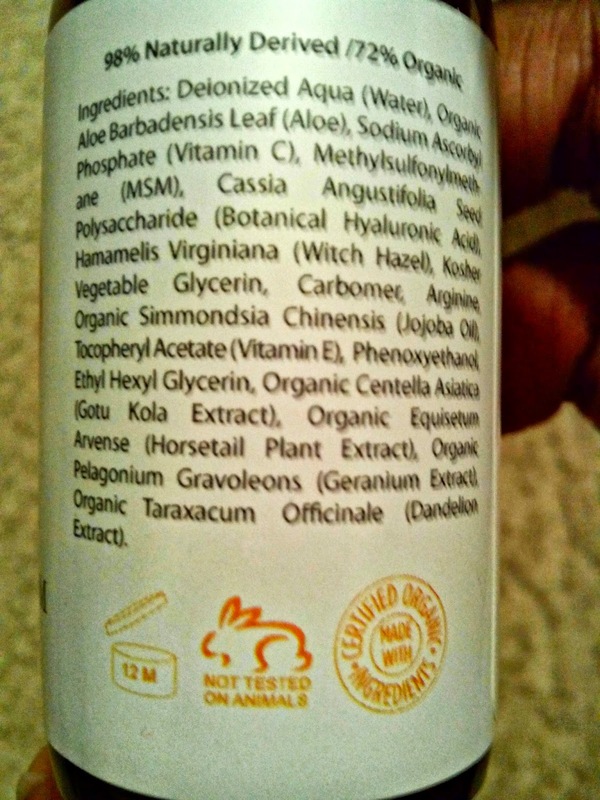 Works for all skin types, dry, oily, sensitive as its made from Pure Natural Organic Ingredients. Reduces acne by removing toxins & creating collagen for firmer, plumper, healthier skin. Minimizes Redness of scars and acne by lightening pigment showing a more youthful you. is the perfect consistency for applying, not too watery. Instantly gain a smoother complexion and tighter skin for a more radiant beautiful you. Antioxidants reduce skin damage caused by years of aging, uv rays & pollution. Reverses the effects of aging, reducing fine lines and wrinkles. Stimulate the synthesis of collagen making your skin look years younger, firmer, & more vibrant. I followed the directions as labeled, then applied coconut oil as my "moisturizer" (I know oils don't moisturize, but my skin loves it). 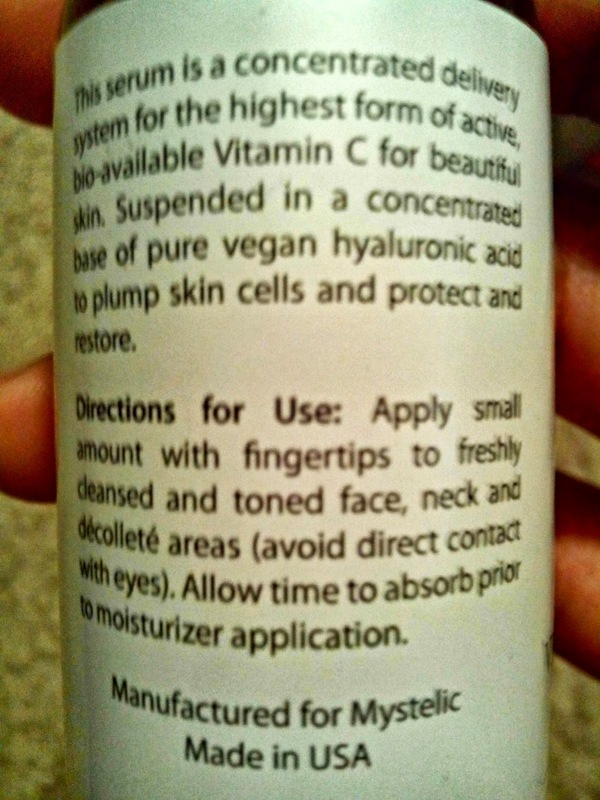 Overall, I do recommend this product, because it worked for what I needed it for, and it didn't irritate my skin.